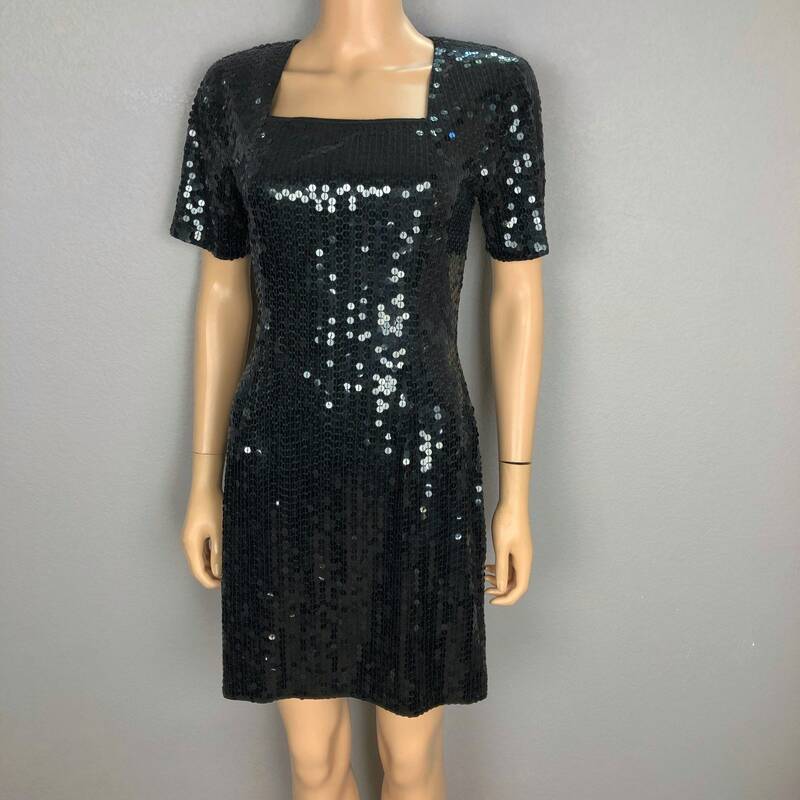 Gorgeous black sequin cocktail dress for sale from the 90’s. This is a real beauty! It has a square neck and short sleeves. It has mild shoulder pads inside that can be cut out if you choose. This is surprisingly stretchy. 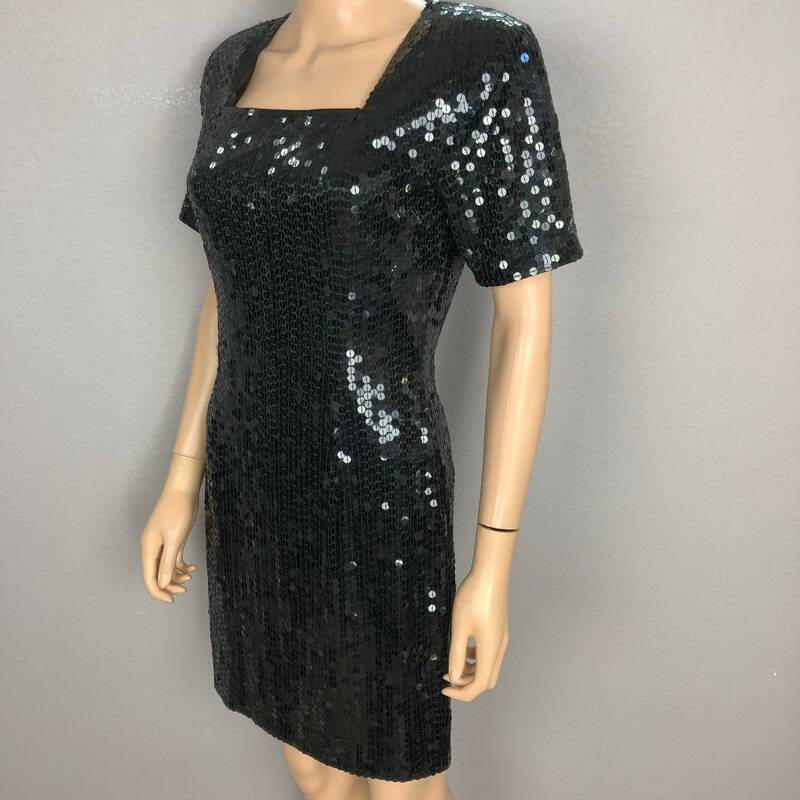 This is great for holiday parties and formal events. 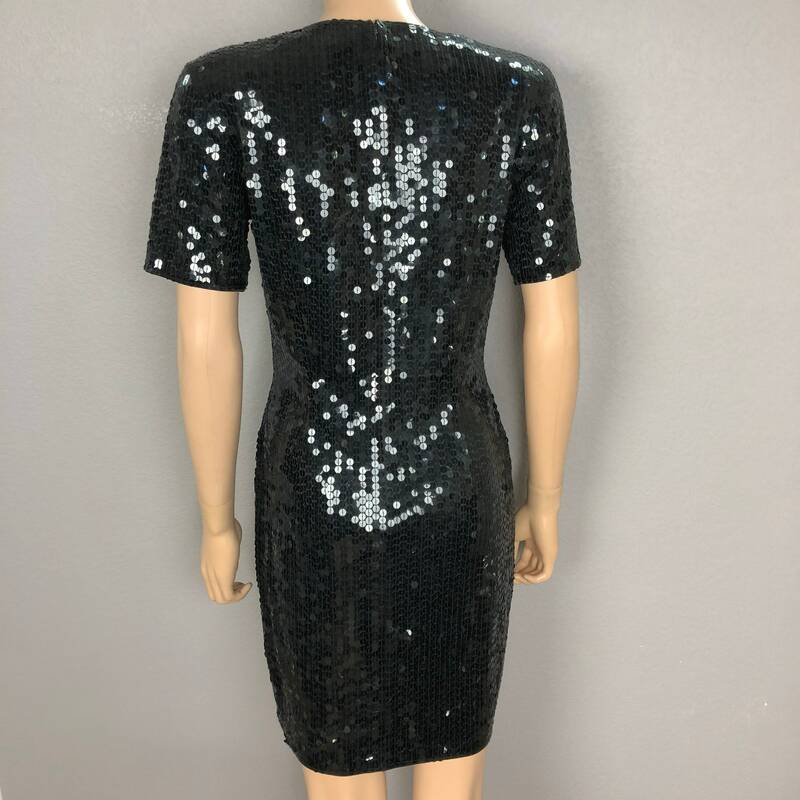 It is in very good condition, but it does have a couple missing sequins. Very minor. 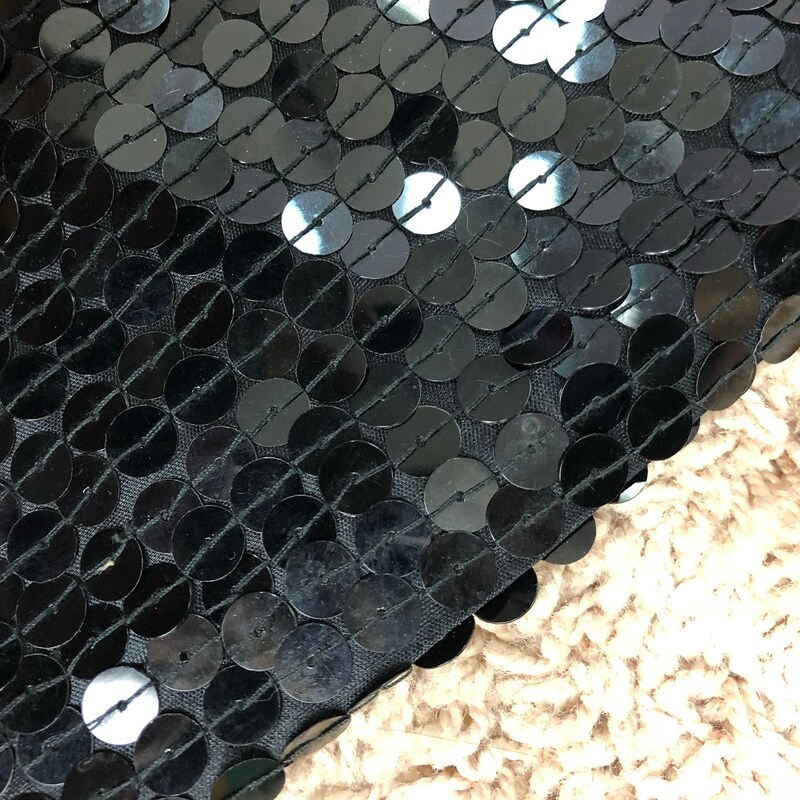 I did also notice that the sequins have water spots in them likely from when it was cleaned. 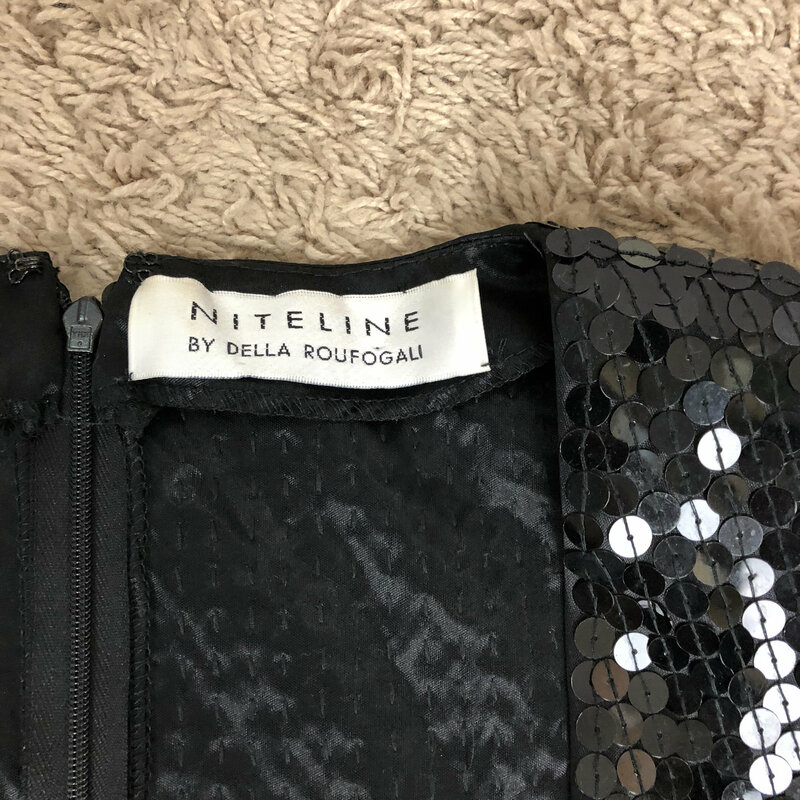 I think this is minor as well as it isn’t something that is likely to be noticed when worn. 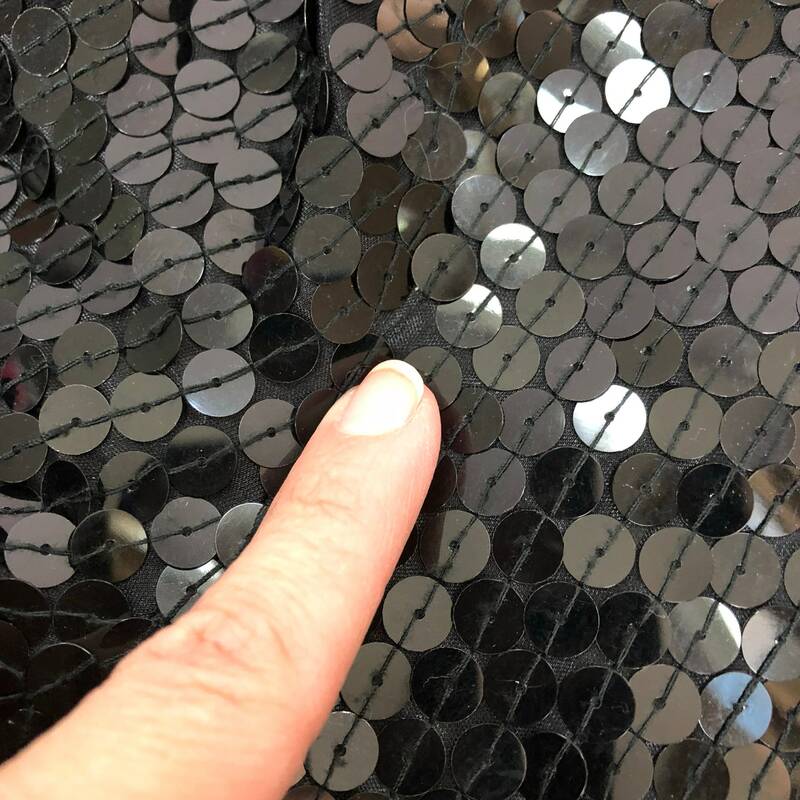 All you will see is sparkle and shine. Size: no size tag, but based on the measurements I estimate it to be a 4/6. Please see measurements to ensure fit.